Beautiful Stanley Park, Vancouver, is once again hosting the Stanley Park Open, one of the biggest amateur tennis tournaments in North America, July 9-24. Last year's event drew 1,742 entries in 80 categories for every skill level, including Juniors, Adults, Seniors, Wheelchair and Open. Defending champion Jara Bulant, for the third straight year, won the Men's Open, beating BC's top junior, Graeme Kassautzki. Kristina Kraszewski won the Women's Open by defeating Renata Kolbovic of Vancouver. This year, Adult and Senior events begin July 9, Open Qualifying July 16 and the Main Draw July 18. The Canadian Under 18 ITF Group 5 event is scheduled for July 11-15, attracting some of the best juniors from across Canada and around the world. 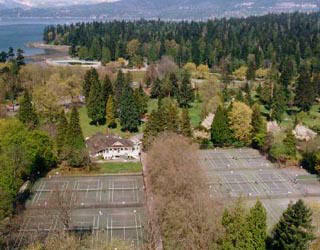 The Stanley Park Open promises to be the most exciting tennis event in BC this year!